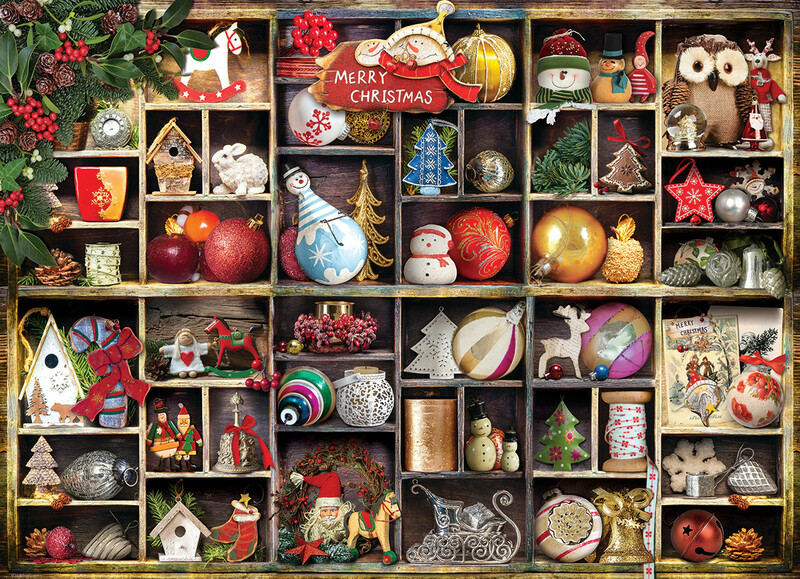 Christmas Ornaments 1000-Piece Puzzle Box size: 10" x 14" x 2.37". Christmas Ornaments bring with them the anticipation of Christmas cheer. This beautiful image of colorful fun provides a great way to celebrate the holidays with family! Strong high-quality puzzle pieces. Made from recycled board and printed with vegetable based ink. This superior quality puzzle will delight and educate all at the same time. A very fun puzzle. Only took a day and a half.